We all know there are cheap ingredients and expensive ingredients. But which are which? Learn about the 10 best ingredients you can use to get dinner on the table without breaking the bank. This might sound obvious, but it’s more complicated than simply seeing what the grocery store has in its aisles. With global trade, some produce is available in stores year-round. However, non-seasonal produce is more expensive. Even though it might only seem like a just few cents more, when the end of a year comes around, those cents will have added up to dollars you may wish you put elsewhere. By buying fruits and veggies when they’re in season, you’ll get a better deal (and more nutrients and flavor!). Vegetables by Month: enjoy veggies at their most flavorful and least expensive! 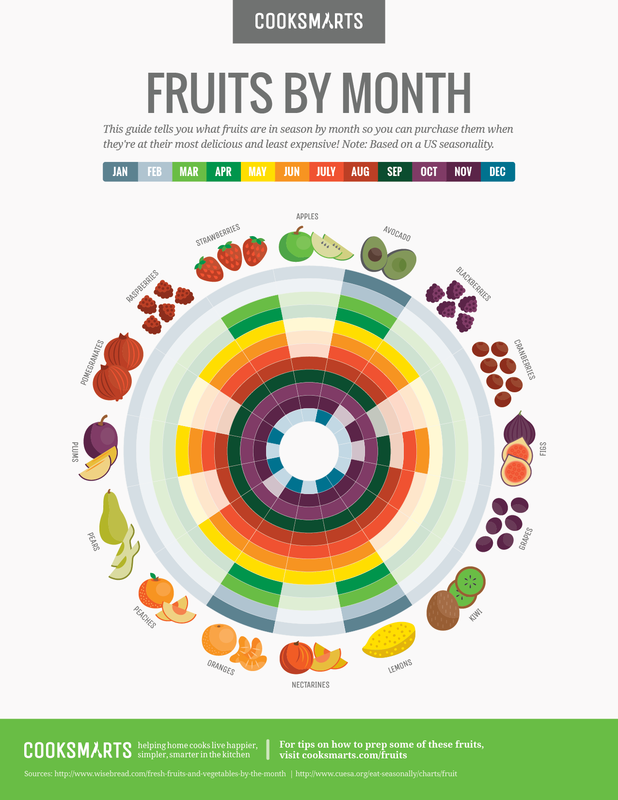 Save money and enjoy seasonal peak fruits with our Fruits by Month guide. There will be times when you’ll crave some of the produce that isn’t in season, but there’s a great option to do this affordably. Frozen fruits and veggies are cost-effective and can be just as good as fresh, since they are picked at their peak to be frozen; they still contain all the good nutrients. Having frozen produce on hand in your freezer is also important because it means you can add fruits and veggies to every meal. It’s super simple to steam, roast, or stir-fry them in no time! Dried beans are cheap and a great way to feed large groups of people and have plenty of leftovers. They can be cooked in a slow cooker and any extras can be frozen and then defrosted for a quick future meal. While dried beans are cheaper than canned beans, canned beans are also very budget-friendly, especially when compared to meat proteins. They’re a quick option when you don’t have time to slow cook dried beans, and are perfect for bulking up enchiladas, quesadillas, salads, soups, and rice. And of course they are always great when you add spices and enjoy them as protein-rich side dish. Purchasing preserved tomatoes can save you time and money and lets you add bursts of flavor to a dish at any time. You can get crushed, whole, diced, and paste in cans, tubes, and boxes. If tomatoes are not in season, or even if they are, buying them canned is perfect for a quick spaghetti sauce or for stirring into chilis or soups. Learn more about this food group and how to make whole grains a healthy part of your diet. Learn about whole grains, including how to cook and store them! Potatoes often get a bad rap due to infamous french fries and chips. But don’t banish potatoes from your kitchen quite yet! These root vegetables are actually nutrient-dense and good for you, if you indulge in moderation. (If you’re diabetic or Paleo, simply opt for sweet potatoes.) Since potatoes are very inexpensive and last a long time when stored in a dark, dry place (and away from onions), they are a great base or addition to budget meals. And did we mention how versatile they are? They can be chopped / sliced and roasted, added to soups, mashed and grated, and of course baked whole and loaded with healthy toppings. Eggs are an excellent source of lean protein – each one gives you 6 grams of protein and less than 2 grams of saturated fat if you hard-boil them. Buying them in bulk will give you the best deal, so if that’s a tad bit too expensive for your food budget, think about splitting them with a friend or neighbor. And remember, eggs aren’t just good for breakfast scrambles and omelettes. You can also use them for frittatas, salads, stratas, fried rice, curries, or in a sandwich. Tuna in water has less calories and fat, although a majority of the oil in canned tuna provides healthy monounsaturated and polyunsaturated fats, so choose the best option for your personal health. Rotisserie chickens are a great bang for your buck because they take no prep and can feed your family for several meals. From tacos to salads to sandwiches, rotisserie chicken is a great source of protein and key vitamins and minerals. Since it can be high in sodium, we suggest not getting one every single week – even if it’s tempting! But if you do (for example, buying two rotisserie chickens in one week because of a really good deal), they can be be pre-shredded or chopped and frozen for future quick and easy meals, like fried rice, stir-fries, and burritos.